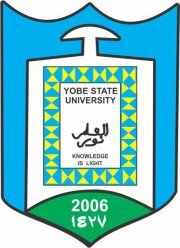 The management of the Yobe State University (YSU) has released the UTME candidates admission lists for the 2017/2018 academic session. All the UTME candidates that participated in the Yobe State University Post UTME screening exercise can now check their admission status online. See also: Yobe State University Direct Entry Admission List. How to Check YSU Admission List. YSU UTME 2nd Admission List. The Yobe State University first batch admission list for the 2017/2018 academic session has been uploaded online in pdf format. Click Here (link) to access it. YSU UTME 1st Admission List.